The High Resolution USB oscilloscope and the arbitrary waveform generator in the Handyscope HS5 can be easily synchronized by setting the trigger source of the oscilloscope to one or more generator trigger events: start, stop and new period. This synchronization makes it possible for example to perform a sweep, and directly measure the frequency spectrum. In the shown measurement, a sweep from 1 MHz to 7 MHz is generated and injected in a resonance filter of 4 MHz of which the output is measured. As this is a real time synchronized scope with generator measurement, a drop in resonance frequency is immediately visible when the resonance filter is heated. 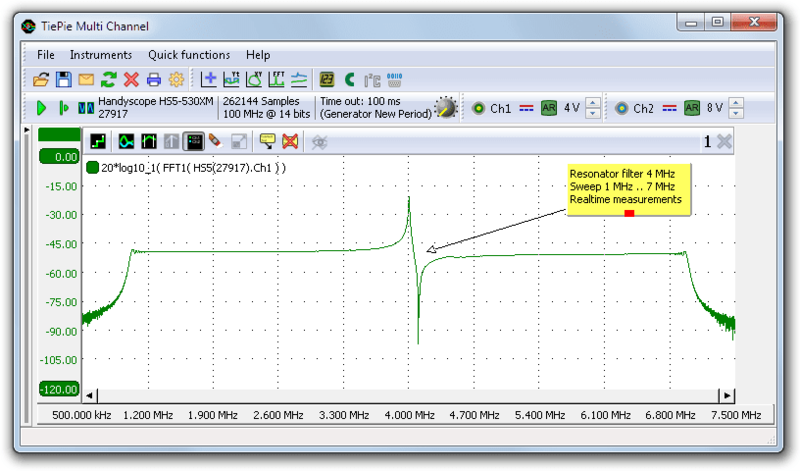 Figure 1: HS5 oscilloscope measurement of a resonance filter fed with a 1 MHz to 7 MHz sweep from a Handyscope HS5 Generator.